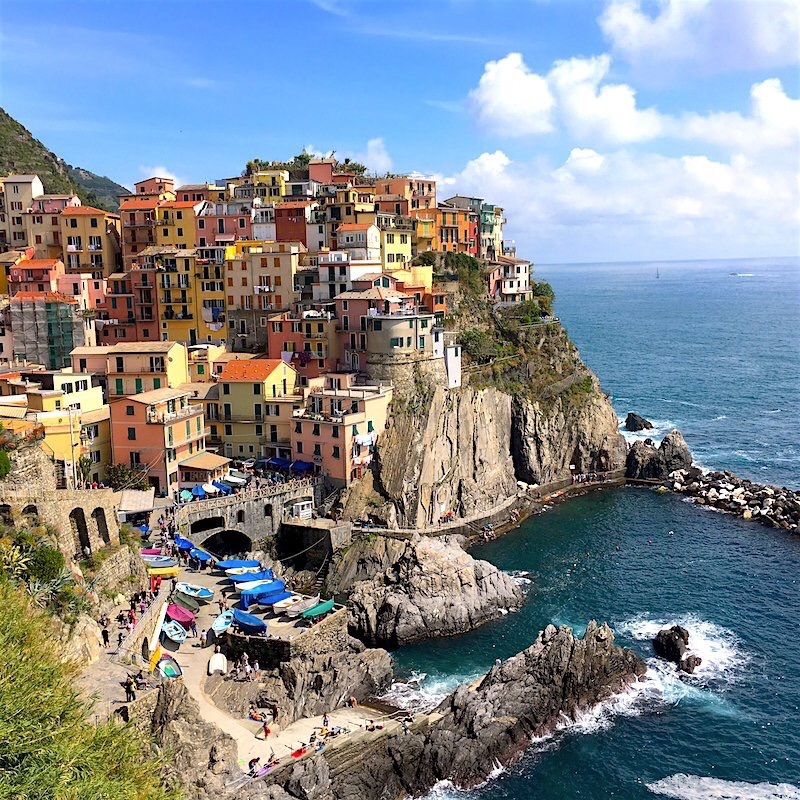 Whether soft shells served with pasta like the recipe we featured last weekend, or blue claw meat that can be used in many different ways. 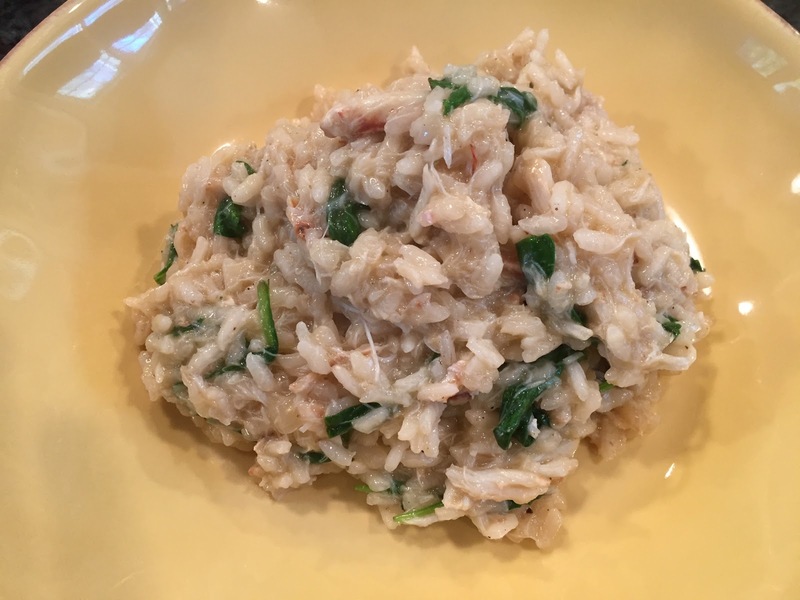 Most recently, I created a delicious risotto from some lump crab meat and baby spinach that was sinfully delicious and easy to make. Do you still balk at the idea of making risotto? 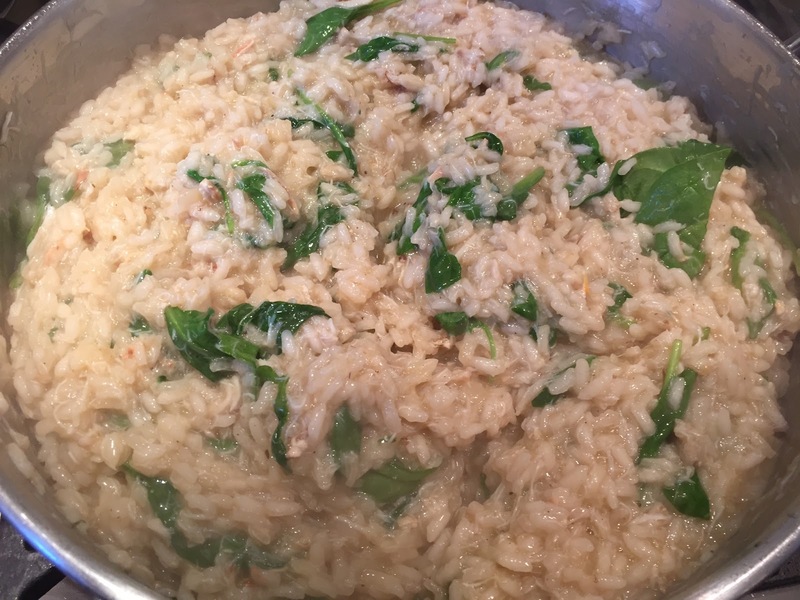 See our introductory primer here: Scared to make Risotto? After finding some beautiful blue claw lump crab meat, I knew what I wanted to make and with all the boys home from school and sports, it was a no brainer! Start by sweating the onions in a bit of extra virgin olive oil until they soften significantly. Add the rice to the pan and “toast” for 2-3 minutes, stirring constantly. Deglaze with dry white wine and stir until the wine evaporates. Then begin adding the seafood stock one ladle at a time. 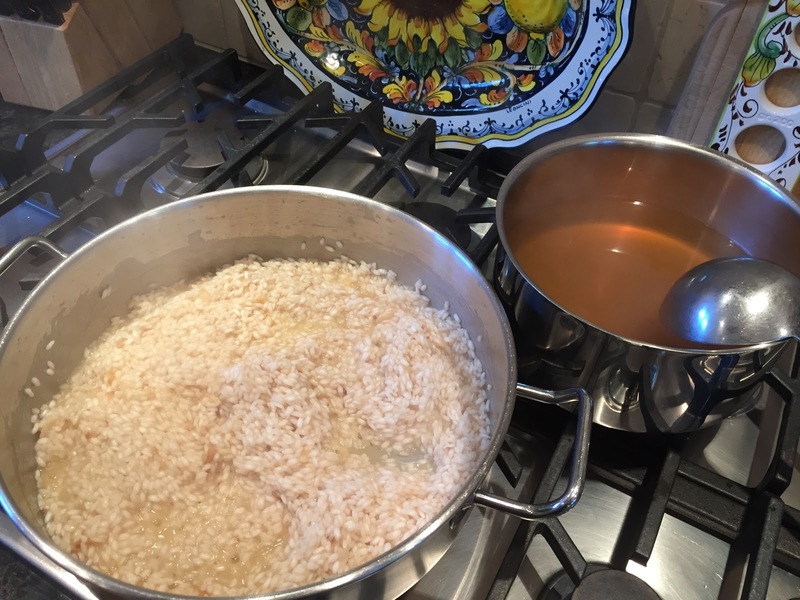 Wait for the stock to be absorbed by the rice before you add the next ladle. If you’re making a lot of rice, you might need to add 1-2 ladles each time. Stir constantly. When the rice is almost cooked, but still too firm to the bite, add the crab meat to the pan and stir through to incorporate. The crab meat I used was raw, but cooked through in under five minutes. Taste for seasoning at this point and add salt and pepper to taste. Continue ladling the broth until the rice is al dente or the broth is finished. If you need more liquid, use a little hot water. Just before plating, add the spinach in and stir until it wilts. Check seasoning one last time and plate! Once the rice is “al dente” be prepared to serve. You can’t hold risotto on the stove and you don’t want to add more liquid at that point or you’ll end up with mush. So what did we drink? I was speaking with Antonio Zaccheo from Carpineto and he suggested that his recently released Rosato would be the perfect pairing for this and he was right. 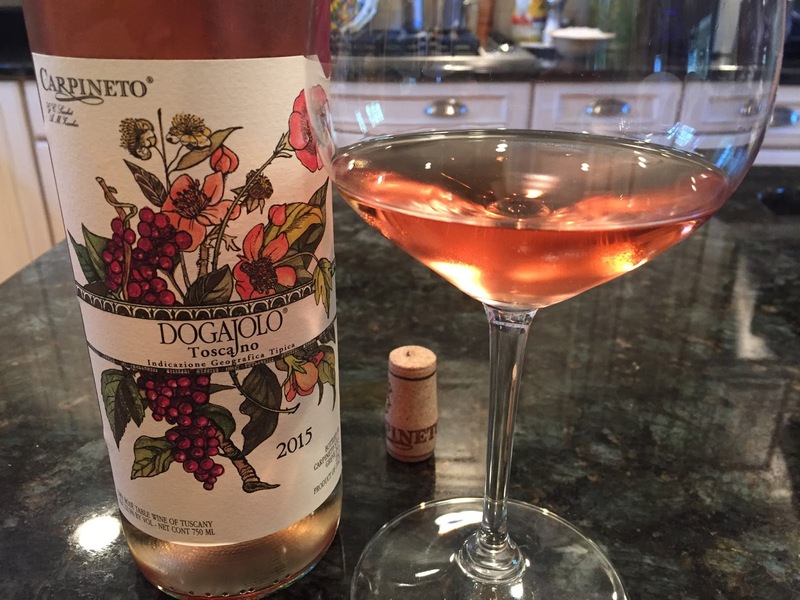 The 2015 Carpineto Dogajolo Rosato is a brilliant shimmering salmon color – reminiscent of a sunset. From the glass, aromas of strawberry, melon and flowers are attractive. On the palate, the wine is refreshing and clean with flavors of watermelon and strawberry. Not that complex, but it’s not supposed to be. Slightly chilled, this is refreshing and the perfect foil to the meal. Wonderful as an aperitif or for al fresco dining. 85 points, and a nice value. A high price would be about $10. Disclosure: This wine was an importer provided sample.